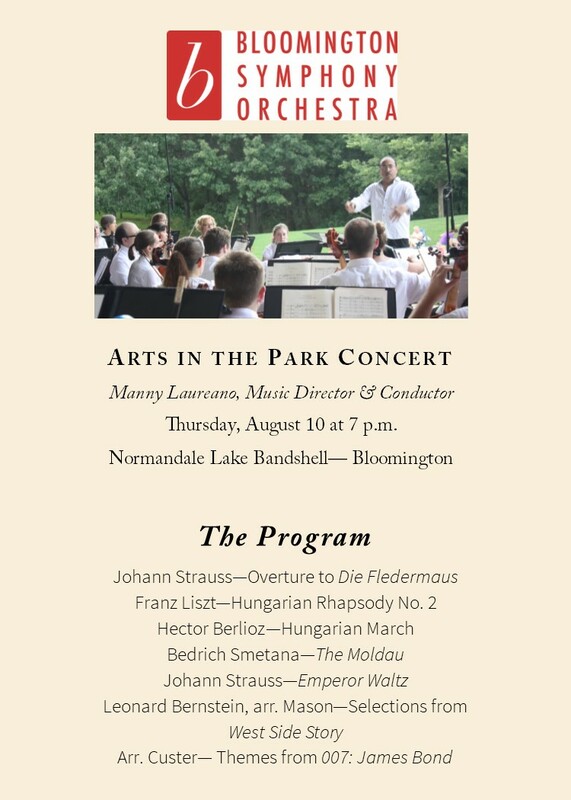 The Bloomington Symphony Orchestra and Music Director & Conductor Manny Laureano, invite you to attend our annual Arts in the Park performance presented by the City of Bloomington. Bring your lawn chairs or a blanket and pack a picnic dinner or purchase food onsite. Hi, I’m interested in bringing a date to the Arts in the Park performance. I’d like to know about tickets (where can I get them, how much are they, do you even need a ticket to attend, etc.). I just wanted to add, this program looks really fun! I cannot wait to see it! Hi William, There is no ticket for the performance. Just bring a lawn chair or a blanket for the lawn seating! A perfect date night! Food will be available for purchase but you can also pack your own picnic if you’d like!